Where the Broadway Stars Vacation! Private Woodstock getaway & walk to town! Property 1: Where the Broadway Stars Vacation! Private Woodstock getaway & walk to town! Property 8: Hudson Valley Hilltop Home! Property 10: Location! Location! Location! 3 Blocks From Windham Mountain! 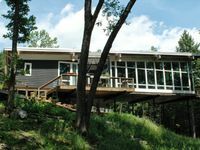 Welcome to the Shangri-La Chalet in The Catskills! 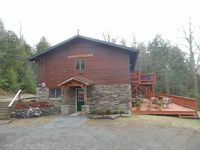 Property 20: Welcome to the Shangri-La Chalet in The Catskills! Owner was over and beyond accommodating! Great location. Loved the cozy living spaces, the double sided fireplace, and the AMAZING view! Rain or shine (literally), this weekend among two families with 3yos was perfect in relaxation and activities. The house is exceptional, akin to a Manhattan loft transposed in the trees. Can&rsquo;t wait to be back !